Smart Wi-Fi digital temperature control automatically tracks the internal temperature of food and controls your grill's temperature like an oven. 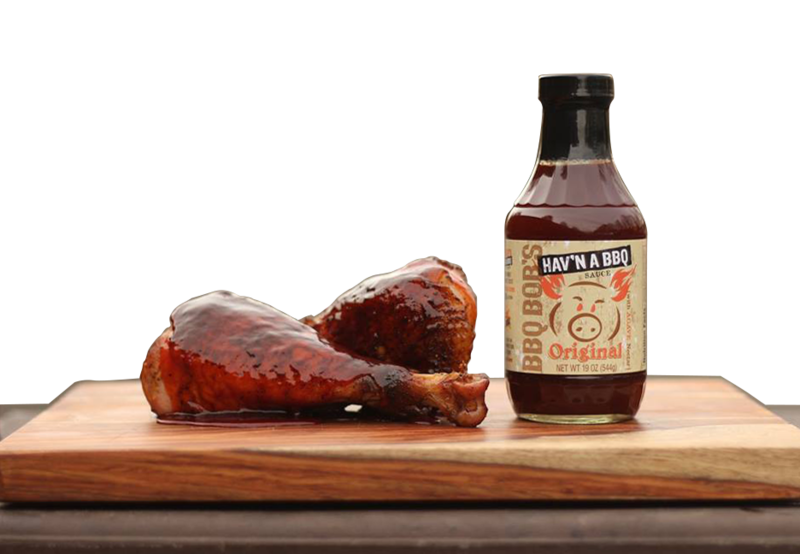 The results are tender, juicy, and delicious barbecue every time. Barbecuing with charcoal is the only way to achieve that unbelievable succulent, tantalizing flavor. Whether you're cooking beef brisket, pork ribs, or chicken wings, the key ingredients to mastering delicious barbecue are the perfect mix of time and temperature. Conquering this slow cooking process allows the tough, chewy protein fibers in meat to break down and transform into incredibly tender barbecue. The problem is that charcoal is notoriously difficult to control and wild temperature fluctuations can result in tough, dried, or burnt meat. Powered by smart technology, the CyberQ Cloud temperature control device easily avoids this disaster by remotely measuring the internal temperature of your foods and effortlessly maintaining the precise cooking temperature inside your grill. No matter what type of meat you're cooking, your meals will always be bursting with flavor. 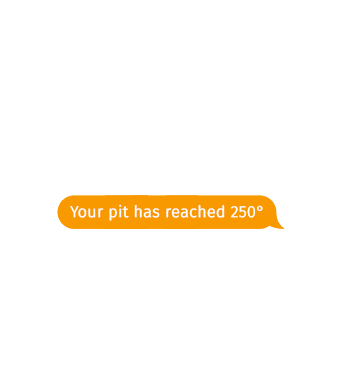 CyberQ Cloud's proprietary technology monitors and controls the temperature inside your grill by feeding the precise amount of oxygen to your charcoal. As temperature rises, meat slowly begins to tenderize and noticeable physical changes will occur in color, texture, firmness, and size. But overcooking meat by just a few degrees can mean the difference between a juicy brisket and one that tastes like chewy leather. The CyberQ Cloud's digital food thermometer is the best and most reliable way to track the internal temperature of meat. This incredibly handy tool is necessary to assure that a safe internal temperature has been reached, harmful bacteria have been destroyed, and food is perfectly cooked. Being able to track internal temperatures will also let you know exactly what is happening inside your meat as it cooks, resulting in higher quality food. Raw meat is generally chewy and full of moisture. By placing the digital food thermometer inside your meat, the internal temperature will be accurately tracked. Simply set your specific "food ready" temperature and the probe will precisely measure internal temperatures. If you're cooking multiple meats, the CyberQ Cloud has the ability to monitor up to three food temperatures. 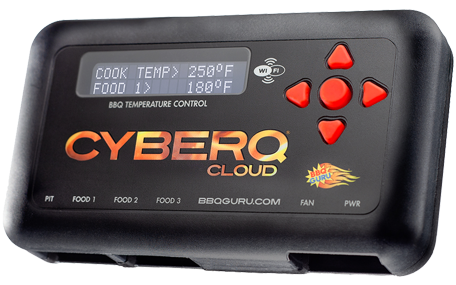 So whether you're cooking beef, pork, or poultry, the CyberQ Cloud will be your secret weapon for mouthwatering barbecue every single time. 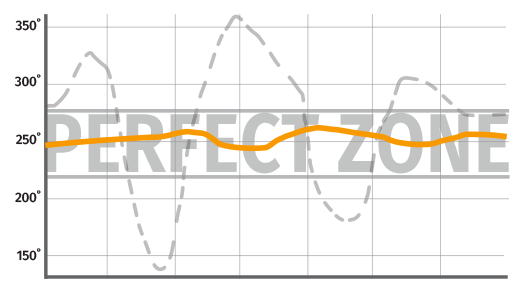 The CyberQ Cloud is equipped with a robust digital thermometer probe that is not only simple to use, but is engineered to the highest precision standards. The probe gets placed on your grill's grate using an alligator clip extension and accurately measures your grill's internal cooking temperature. It sends this reading back to the main control unit and the CyberQ Cloud then evaluates all temperature changes and adjusts the heat as needed. The probe is rated for temperatures up to 500°F and the sturdy sheathed wires are used to protect against breakage, heat, or errors while cooking. Whether you're a beginner or professional pitmaster, the CyberQ Cloud will make your outdoor cooking experience easier than ever. Take the guesswork out of your next barbecue and attach the CyberQ Cloud to your grill. Using the up and down buttons, select your ideal cooking and food-ready temperatures. The high-tech device will simultaneously monitor your food's internal temperature while maintaining the perfect ambient cooking temperature. Long cooks are now easy and convenient, so you can enjoy the best and most tender meals ever. At a quick glance, the two-line backlit LCD display allows you to view the grill and food temperature(s) at a moment's notice (you have the option to change temperatures to display F or C). The digital display is designed to be easily seen during all times of the day and night. For added convenience, users can adjust the backlight and contrast to their liking. To change the grill or food temperatures, simply use the up/down and left/right buttons. 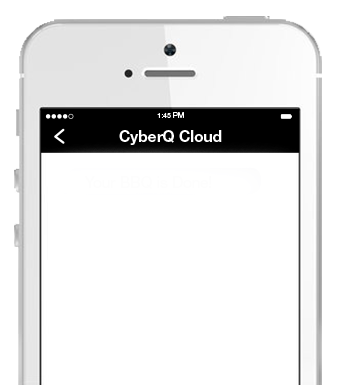 To perfectly time a cook, just enter the cooking timer and the CyberQ Cloud will begin counting down. 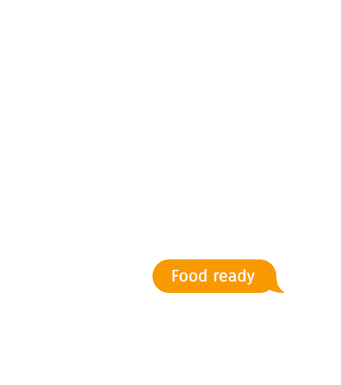 Once your food has reached its set point, a "Food Done" message will blink on the screen and an audible alert will sound. The revolutionary fan system regulates the temperature by pulsing just the right amount of oxygen within the grill to generate your ideal temperature. Based on your grill's internal cooking temperature, the CyberQ Cloud automatically adjusts a specially oscillating fan blade system that will either increase or decrease the intensity of your charcoal's heat. Since the fan replaces the use of your smokerâ€™s air vents that feed your fire, you no longer have to manually adjust them to achieve the ideal amount of airflow. Just like an oven, the CyberQ Cloud will maintain a steady temperature throughout the cook even if there are changes in humidity, precipitation, or outside temperature. The CyberQ Cloud's fans are equipped with an adjustable built-in slide damper for unmatched precise temperature control. This allows users to make fine-tuned adjustments due to natural drafts that effect cooking temperature during the fan's off cycle. The damper can be closed completely to quickly extinguish your fire, saving charcoal for your next cook. The CyberQ Cloud is available with 2 fan sizes and can power and control 2 fans simultaneously to effectively move air through the grill with an available fan splitter. Barbecue that's hot off the grill is a taste to be savored, but knowing when to pull it off is key to creating the perfect meal. 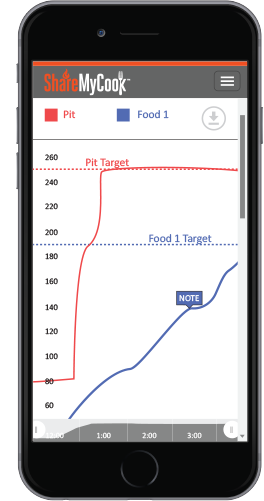 You'll never wonder about timing again with the CyberQ Cloud's food alerts. Once your food has reached the perfect temperature, an audible alert will notify that your food is ready. If Wi-Fi is activated, users have the option to receive phone SMS text or email notifications when the food is done. If the cooking temperature happens to drop too low, because of low charcoal for example, warning notifications can also be sent. "Food ready" notifications put an end to one of the most common outdoor cooking mistakes: repeatedly lifting the grill's lid. As tempting as it is to see what's happening underneath, constantly opening the grill's lid will bring in more oxygen and cause unwanted temperature swings. Since the "food ready" alert notifies you when meat is done, outdoor cooks can finally break that irresistible urge. Finally, you can enjoy more time with your friends and family without having to leave to check for doneness or guess when your food is ready. When your grill's lid is opened, heat can quickly escape from inside the grill and cause major drops in temperatures. When the open lid detection feature is turned on, the CyberQ Cloud senses when there has been a heat disturbance and evaluates any sudden drop in temperatures. Recovery time is automatically adjusted quickly getting your grill back to the desired cooking temperature, eliminating unwanted temperature swings and potential temperatures spikes. Chewy, burnt, and dried out meat is now a thing of the past. The exclusive ramp mode feature eliminates the chance of overcooking meat by automatically lowering your temperature when the food gets within 30 degrees of being done. This optional feature provides you more time to remove your meal from the grill. This means you'll be able to enjoy it at the perfect moment and avoid the possibility of burning your food. Powered by smart technology, the CyberQ Cloud is Wi-Fi enabled and allows you to keep tabs on your food without being tied to the grill for hours. This not only provides extra reliability to check on temperatures, but also gives you the power to control your cook by raising or lowering temperatures while you're out with friends or at work-- without being anywhere near your grill. To take the worry and hassle of babysitting your grill, simply connect the CyberQ Cloud to your Wi-Fi and start following real-time updates as your meal cooks. Alexa is now your backyard pitmaster, and your next delicious barbecue is just a voice command away! Via any Amazon Alexa-enabled device, the CyberQ Cloud's voice activation can control and monitor your outdoor cook with a total hands- off approach. 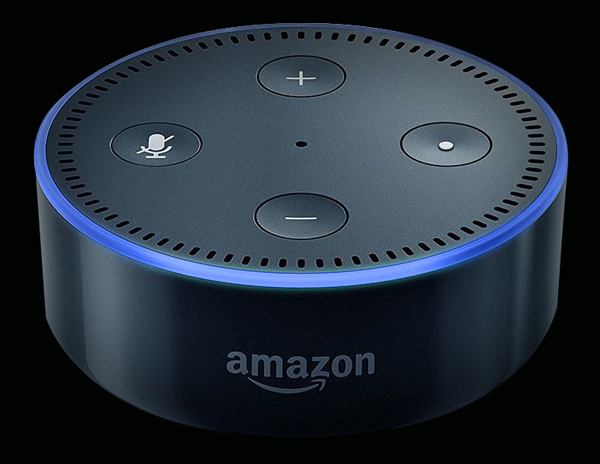 Whether you're busy watching the game or need a little extra assistance, simply use voice commands or ask questions like "Alexa, tell CyberQ Cloud, set the pit temperature to 250" or "Alexa, ask CyberQ Cloud, what's the temperature of Food 1?" 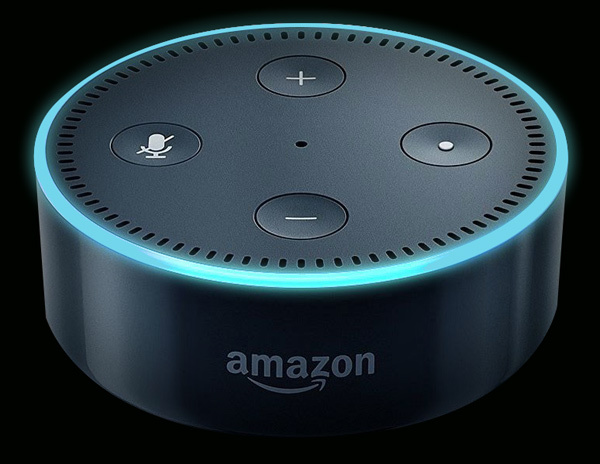 --and Alexa will do the rest. Outdoor cooking is now easier than ever-without having to lift a finger! 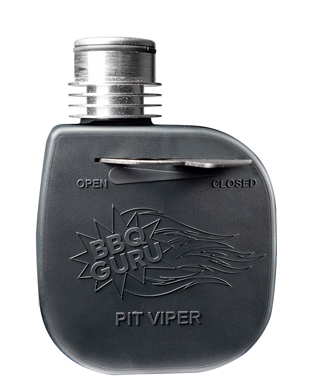 Perfecting barbecue skills can involve a lot of trial and error without a Guru control device. Luckily, ShareMyCook.com, powered by BBQ Guru, includes temperature graphing as an easy shortcut for mastering your techniques. Closely track cooks in real-time by setting and watching up to three food temperatures from a Wi-Fi enabled device. Visually watching the progress of your cook can help you identify and troubleshoot issues such as getting low on charcoal or determining the perfect cooking time. During important moments, add specific notes onto the graph and save them to review later. Having this detailed information is one of the best ways to consistently make delicious BBQ and is especially helpful for those who like to go back to reference and learn from past experiences. ShareMyCook.com is a free, community-based website designed to help cooking enthusiasts consistently create amazing barbecue. The CyberQ Cloud synchronizes with ShareMyCook.com so you can monitor, track, and record every variable of your cooking sessions from your Wi-Fi enabled device, allowing you to perfect your techniques. By joining the fun community, users are able to connect to other CyberQ Cloud owners by creating and sharing recipes, watching other cooks, commenting and rating recipes, and uploading delicious food shots. This gives barbecue lovers the opportunity to come together, support one another, and learn new techniques. Once a cook is complete, members also have the option to share their picture-perfect recipe with friends and family across popular social media outlets such as Facebook and Twitter. 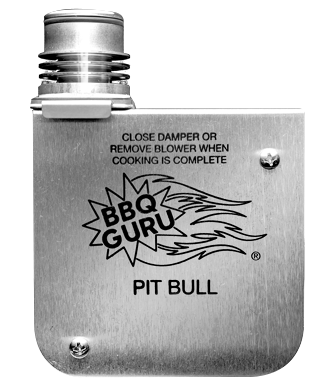 Knowing that there are hundreds of grills in the marketplace, BBQ Guru has worked hard to manufacture a massive list of specially crafted adaptors to offer maximum compatibility. This ensures the CyberQ Cloud will perfectly fit on almost any charcoal or wood fired grill and will most likely work with yours. The process of finding a compatible adaptor for a specific grill, smoker or cooker is easy, simple, and fast. Use BBQ Guru's "Help me Choose Guru Guide" to quickly find the right match. Click here to shop our product line and find your perfect finish.